There is no denying that Alexis Sanchez would be the most sought after player in the upcoming summer transfer window, as the Chilean prepares to enter the final 12 months of his current contract. There are a number of clubs interested in Sanchez, most notably Manchester City, who are eager to splash the cash and make him the marquee signing for the club. Chelsea are also keenly monitoring the situation of the Arsenal ace, as they feel that he is the ideal candidate to replace Eden hazard if the Belgian leaves them this summer. With each passing day, there is increased uncertainty growing around Sanchez’s future, but Arsene Wenger has insisted that the Gunners’ talisman will not be sold in the summer, despite only having a year left on his contract. 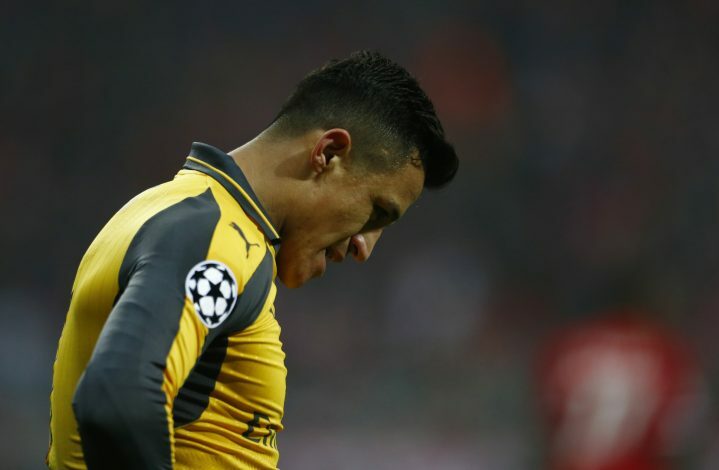 The Frenchman also added that even if Sanchez rejects the offer from Arsenal, he will not sell the player to any major rival clubs, like he sold Robin Van Persie to United for €24m in 2012. “I don’t think you would sell him to any other Premier League club, that is for sure,” Wenger told reporters. “The question is more, why would you sell him to another [Premier League] club? you want to be as strong as you can be and not strengthen the other teams. “I let Van Persie go in the last year of his contract because he was 29, going on 30 and he was signing a long-term contract. This is not a case with Alexis. I personally think he will sign and stay here,” added the 67-year-old manager. Despite Arsenal’s top four hopes still being uncertain, Sanchez has been in irresistible form, as he has netted 24 goals in all competitions, with the most recent one of those earning Arsenal a thrilling 2-1 win against Manchester City in the FA Cup semi-final on Sunday. Apart from Sanchez, Mesut Ozil and Alex Oxlade-Chamberlain are also entering the final 12 months of their contract, but the Gunners’ boss is confident that he will resolve the situation before it gets extreme.